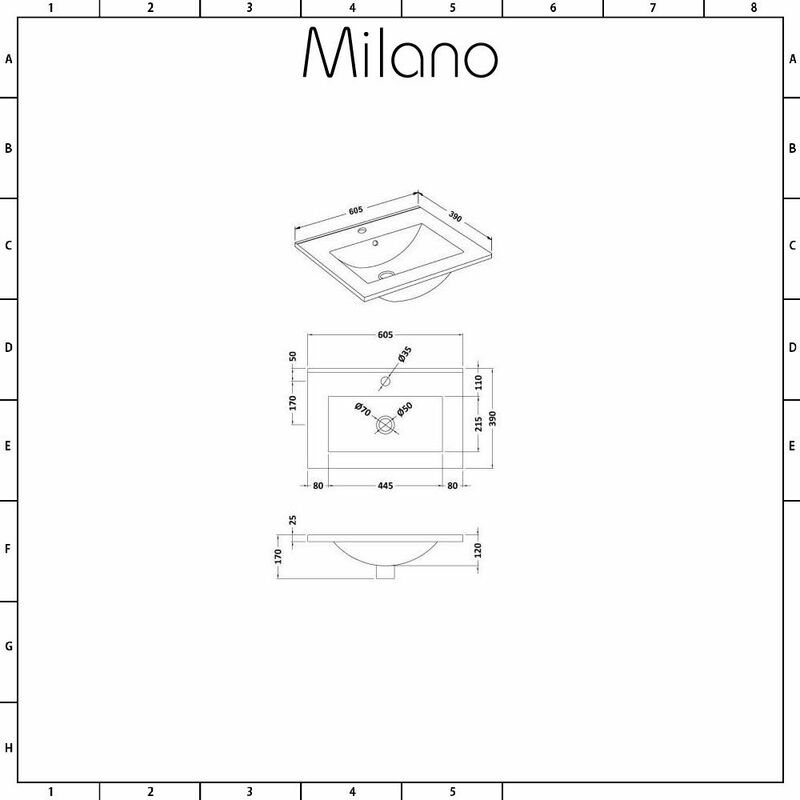 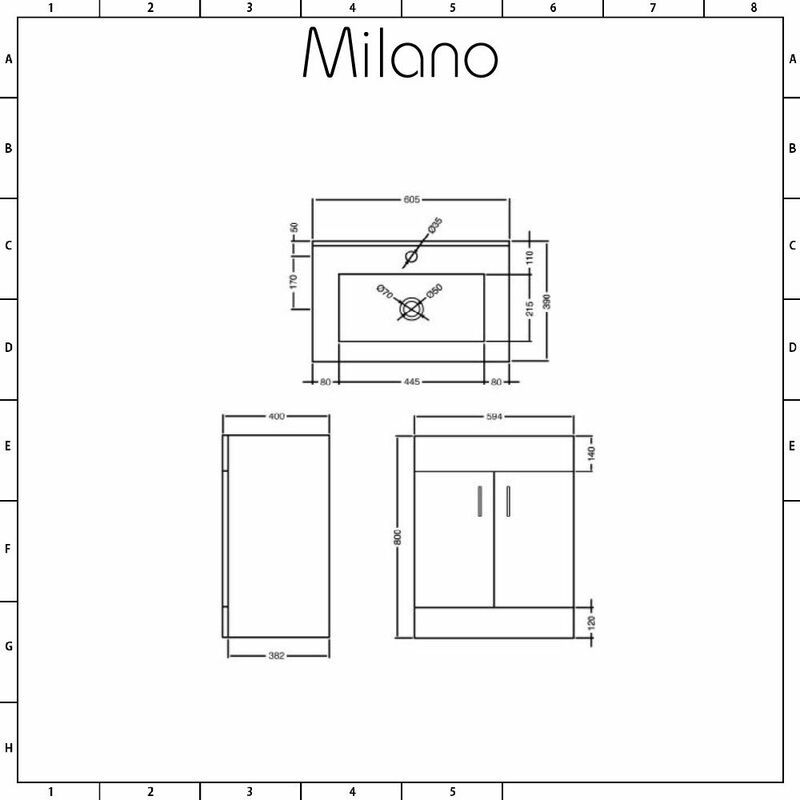 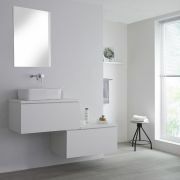 Introduce a stylish storage solution to your bathroom with the modern floor-standing Milano Minimalist 600mm vanity unit and basin. 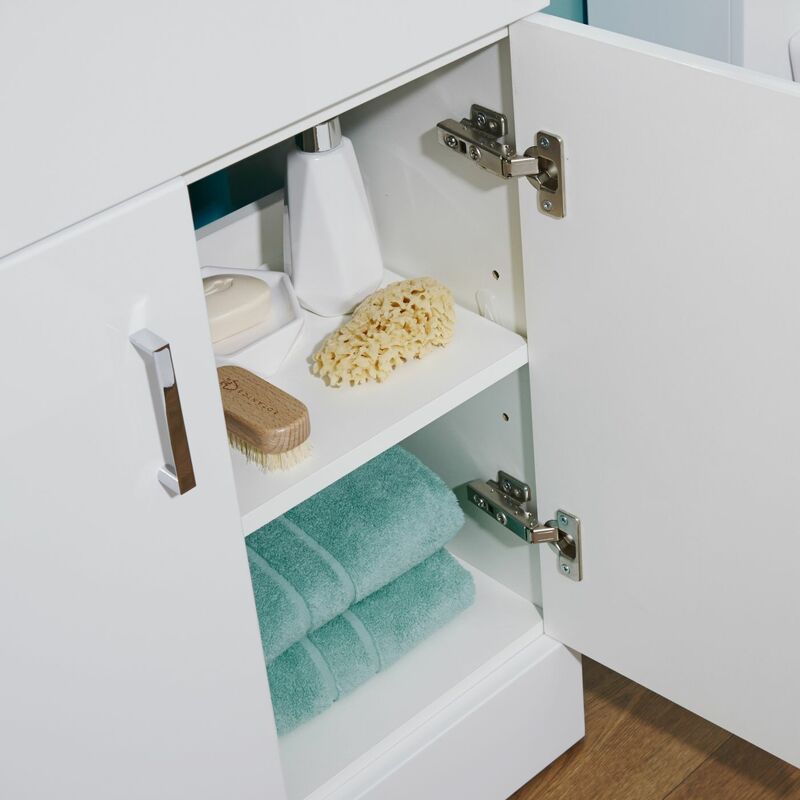 The gloss white finish makes a real design statement and benefits from a strong moisture resistant engineered wood construction to ensure long-lasting durability. 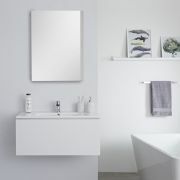 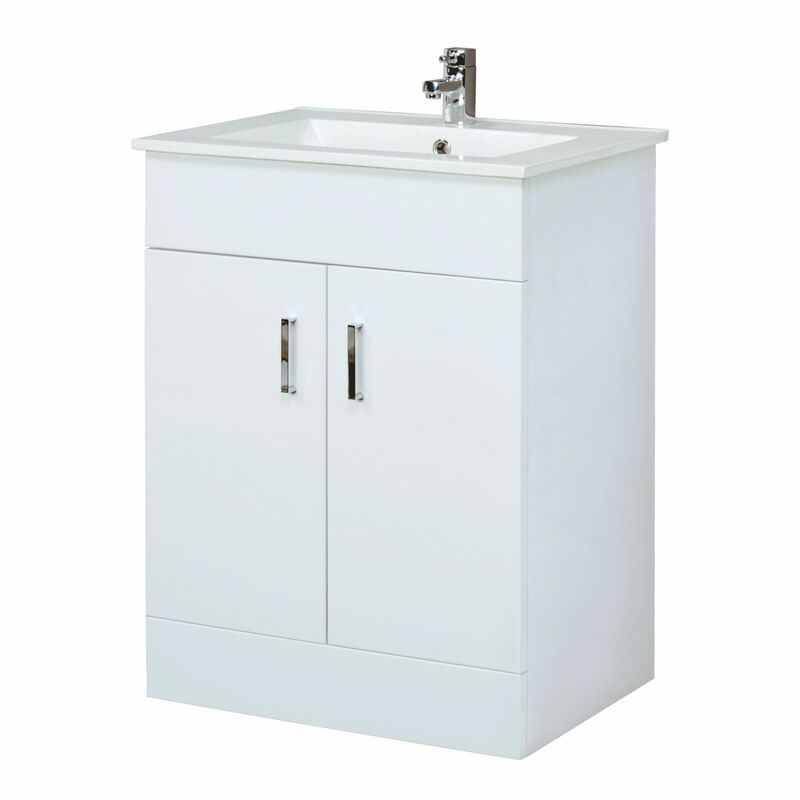 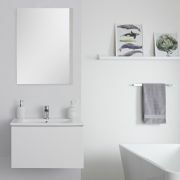 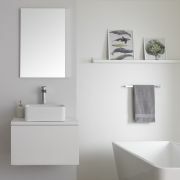 The Minimalist vanity unit offers plenty of storage for your bathroom essentials within the cupboard with an integral shelf and features soft close doors accentuated by chrome handles for added elegance. 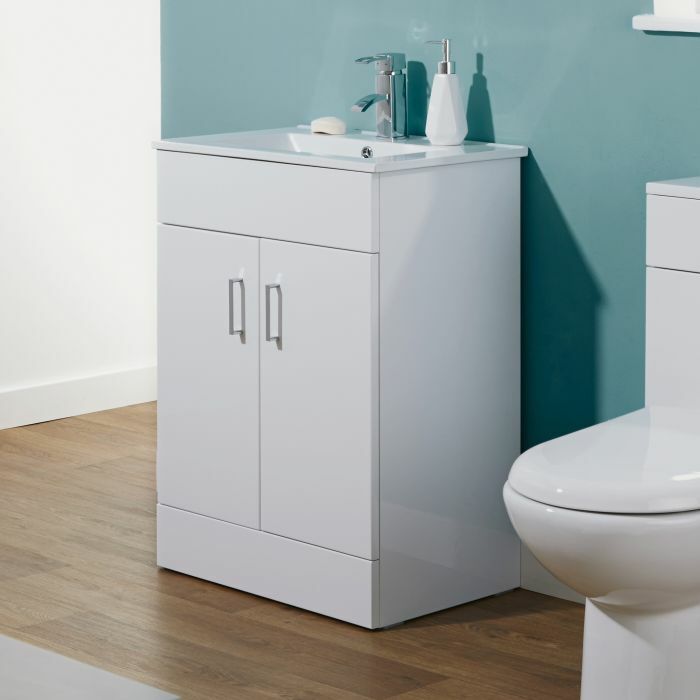 The back panel can be removed or cut to enable installation of pipework, making it truly adaptable for your needs. 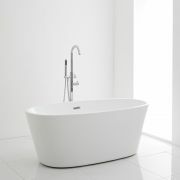 The contemporary high quality ceramic basin includes a white glaze finish for easy cleaning. 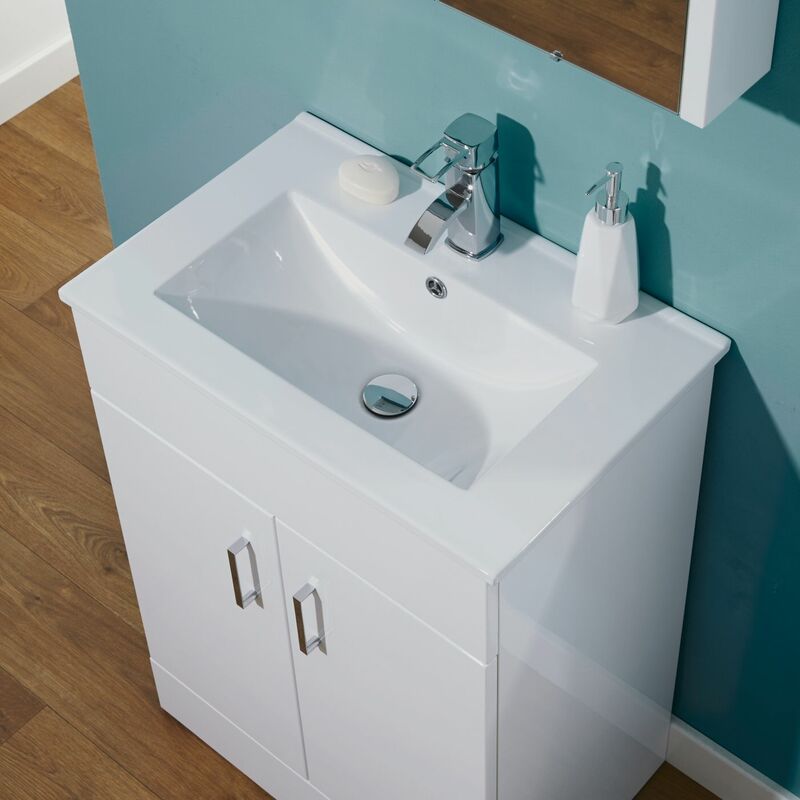 The basin is fitted with a single tap-hole, allowing you the opportunity to personalise the final look by selecting one of the mono taps from our range.